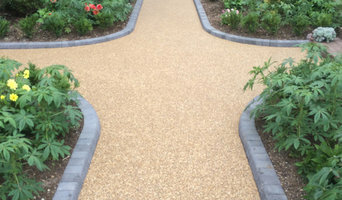 Lypiatt Landscapes is a family company established in 1995. We have worked on projects of all scales and sizes, so we know what goes into bringing your landscape ideas to fruition. We work closely with our customers to get great results and will always endeavour to realise your vision. Lypiatt Landscapes is an established landscaping business with over thirty five years experience of creating and caring for larger private and commercial gardens and grounds. Based in the Cotswolds, our committed team offer a range of services from consultation, design, construction and estate renovation through to management, development and maintenance. We have a wealth of experience in the maintenance of outdoor spaces, from playing fields, parks, public gardens to private lawns. Contact us today as we have maintenance options to suit any outdoor space. 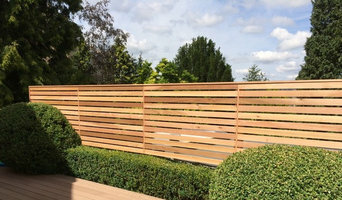 We provide landscape services and fencing installation services in and around Somerset. Our company primarily deal with domestic clients, but we are also more than happy to carry out work for business owners as well. Outstanding Customer Service - We are a small family run firm with more than 30 years experience in the construction industry, and we aim to make the project for a client as simple as possible giving them a personal service for each individuals requirements. Some clients come to us knowing exactly what they would like whereas others prefer us to guide them, either way we always accommodate. Why should I hire a Bristol gardener or landscaper? 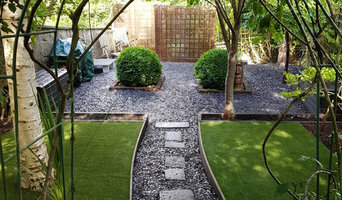 Even if you do have a few green fingers yourself, gardeners in Bristol will have the experience and training to carry out larger landscaping projects and will have the eye for what works best where and when in your garden. They may work with a landscape designer or architect who will put together the plans that they then execute, or they may do this work themselves. 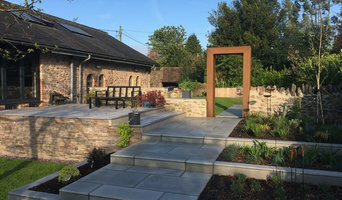 If you’re looking for a Bristol landscape architect, or perhaps you want to select your own garden supplies yourself, then you can find the right professionals for this on Houzz, too. Here are some related professionals and vendors to complement the work of landscape contractors: Landscape Architects & Garden Designers, Garden & Landscape Supplies, Stone, Paving & Concrete, Tree Services. Once the plants have been chosen, planted or potted, and the lawn or patio laid, then your garden will be ready to enjoy, but never completely finished. Like all living things, your garden will grow and change with time and the seasons, so it will need a bit of TLC and garden maintenance from time to time. This is when you may want to hire Bristol gardeners again, especially if you have a very large garden or landscaped area that needs constant upkeep. Hire Bristol gardeners to water, weed and prune your plants, keep the lawn trim and green, and cut back any over growing trees. Some Bristol gardeners may source their own garden supplies, while with others you may have to do this yourself. Find landscapers or gardeners on Houzz. 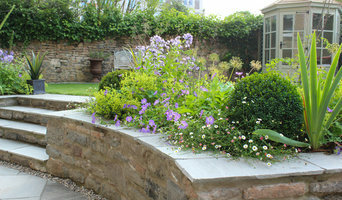 Narrow your search in the Professionals section of the website to Bristol gardeners and landscape contractors. You can also look through photos of Bristol landscapes and gardens to find one you like, then contact the Bristol gardener who worked on it.